When you get into a car accident, you expect the other driver to follow the law just as you would. That means you stay at or return to the accident scene, exchange information with the other driver, and call the police. But what happens if the other driver fails to follow the law? First, let’s explain what a hit and run accident is in Texas. According to the law, a hit and run accident is defined as getting into an accident with another vehicle, a pedestrian, or a fixed object like a telephone pole and then leaving the scene without either stopping to identify yourself or provide aid to anyone who was injured in the accident. It doesn’t matter if you caused the accident — just leaving the scene is considered a criminal offense. If the accident involved injury or a death – You must stop immediately and provide aid and your personal information. If the accident involved damage to an occupied vehicle – Again, stop as close as you can without obstructing traffic, render aid and provide your information. If the accident involved damage to an unoccupied vehicle – You will need to locate the driver to provide your information. Or, if you can’t find the driver, you can leave a note providing your information and what had occurred. If the accident involved damage to property – You will need to stop and find out who the owner is and provide your information. If the damage is more than $1,000, you will need to report the incident to the police. What if you do leave the scene of an accident? What can happen to you? A hit and run accident is a crime in Texas, especially if the accident caused either serious injury or a death. This a third-degree felony, and you may be going to jail for two to 10 years. If it’s not a serious injury, it’s still a felony, and you could go to jail for up to five years and/or be fined up to $5,000. If the accident damaged an occupied vehicle, it is considered a misdemeanor and, depending on how much the damage costs, you could still see jail time. But what if you’re the victim of a hit and run accident? What can you do? Your insurance company will probably pick up the cost; however, if the driver is found, you are able to sue that person for the damages. But you’re going to need an experienced car accident attorney to help with your case. 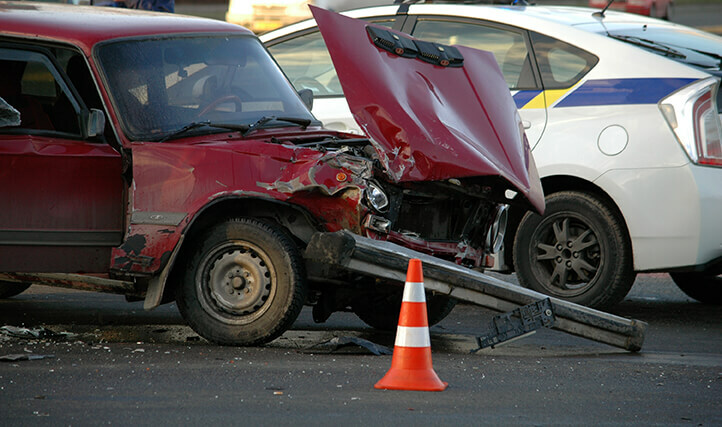 Contact a Houston car accident lawyer at de Lachica Law Firm today for a free consultation. I can see the value in not leaving a car accident scene. You’ll want to stay to share insurance info at the least. My friend got in a fender bender and the process seems complex; maybe a lawyer could help.